Not content with being the proud owner of the world’s largest superyacht, Russian billionaire Roman Abramovich is now creating a £20 million private nightclub underneath Chelsea’s Stamford Bridge football stadium. The venue has a 13-foot high waterfall that cost £150,000 to install as well as a hydraulically operated stage for private performances by Abramovich’s favorite musicians. In the past his private performances have included artists Gwen Stefani, Amy Winehouse, and the Kings of Leon. 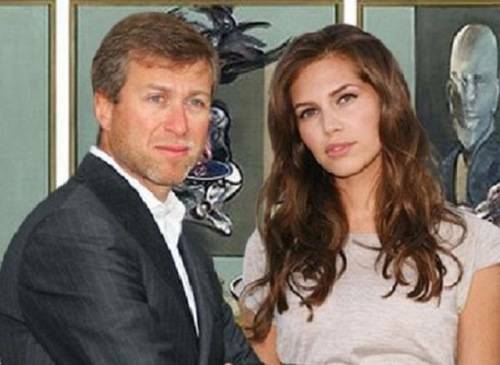 Abramovich is likely to use the club for his own entertainment and for entertaining his girlfriend Dasha Zhukova’s chic friends. No doubt there will be a few Chelsea players using the venue to party after games too. The interior is said to boast of a “gritty industrial design motif”, complete with a lavish green room for performers, private booths with plasma TV screens and a waterfall that will greet guests when they enter and descend the staircase at the entrance. Abramovich reportedly got the idea for the nightclub after visiting several nightspots in USA. It is the latest extravagant plaything of an oligarch who has spent more than almost any other individual in history on trophy assets, including a flotilla of superyachts. The work on the nightclub is apparently in advanced stage and reports suggest it might be ready by December. the 164-metre Eclipse ship estimated to be worth £300 million, fitted with a cinema, sports complex, disco, mini-submarine, guided missiles, and two helipads. some of the world’s most expensive art, including Francis Bacon’s Triptych, for which he paid a record £44 million.